Hubby’s recent fishing expedition of the coast of Wilmington, NC netted 2 large Mackerel. 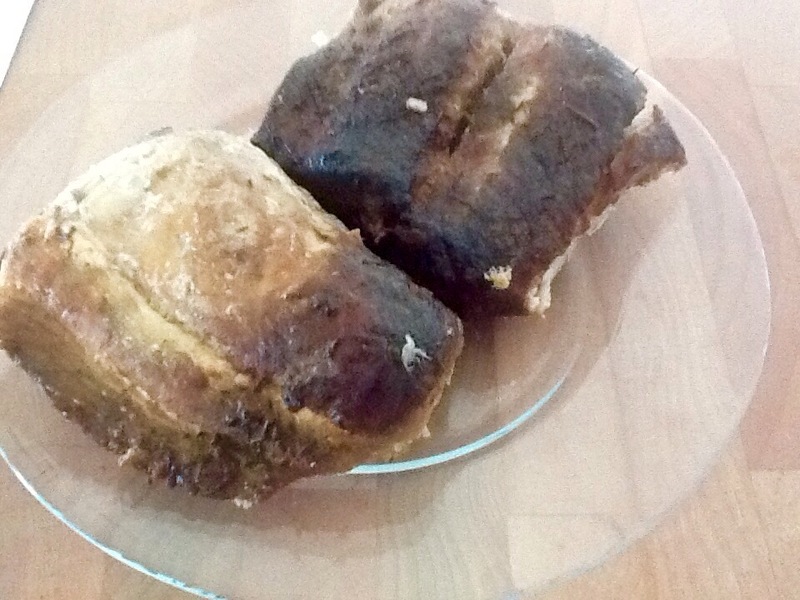 Now before you turn up your nose, just want to tell you what great success I’ve had with a couple of very simple recipes for preparing this much maligned fish. While most of Europe is on board with Mackerel, the US hasn’t quite come around. For the llife of me I don’t know why! It is firm fleshed, full of good-for-you Omega oils, and takes on the flavor of many preparations easily. Day after catching the beauties, I stumbled on a fantastic recipe by Jamie Oliver for Mackerel with a decidely Spanish twist. Pat filets with a paste of crushed garlic, salt, pepper, olive oil and smoked spanish paprika. Let sit in refridgerator for at least 1 hour. Meanwhile boil some new potatoes in chicken broth until tender and smash with a large spatula or masher. Don’t turn them into mashed potatoes, just smash slightly. Then whisk together a saffron vinaigrette made of olive oil, lemon juice, dijon mustard, salt, pepper and of course, saffron threads. set the vinagrette aside. Now, into a 400 degree preheated oven pop the mackerel with skin side up in a pan. Cook until skin is crisping and flesh of fish has turned white, about 15-20 minutes depending on size of the filets. Serve the fish on top of the smashed potatoes and drizzle the bright yellow vinaigrette over top and around plate. Really delicious! In food processor finely chop 1/4 cup green onions. Add 3/4 lb. 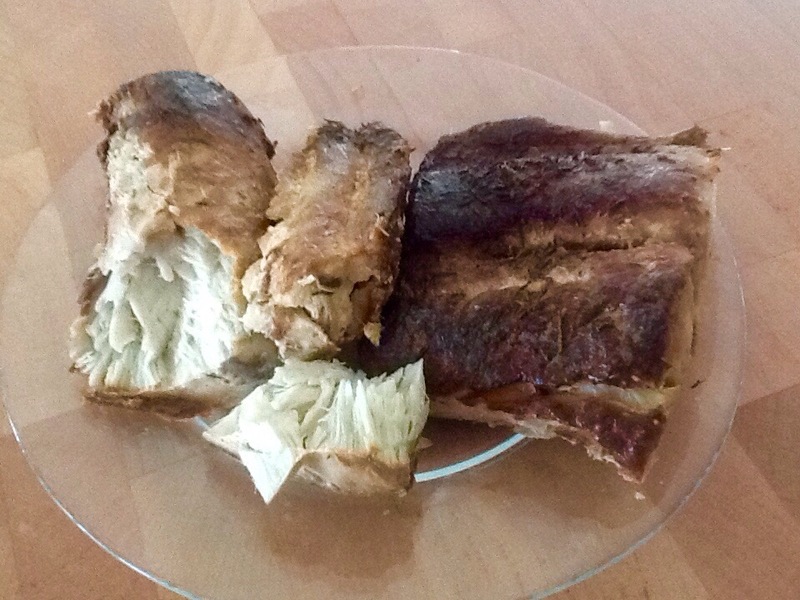 smoked mackerel. Pulse until finely shredded. Add 1/3 C each of sour cream and cream cheese. I also tried whipped cream cheese with chives and it is yummy. 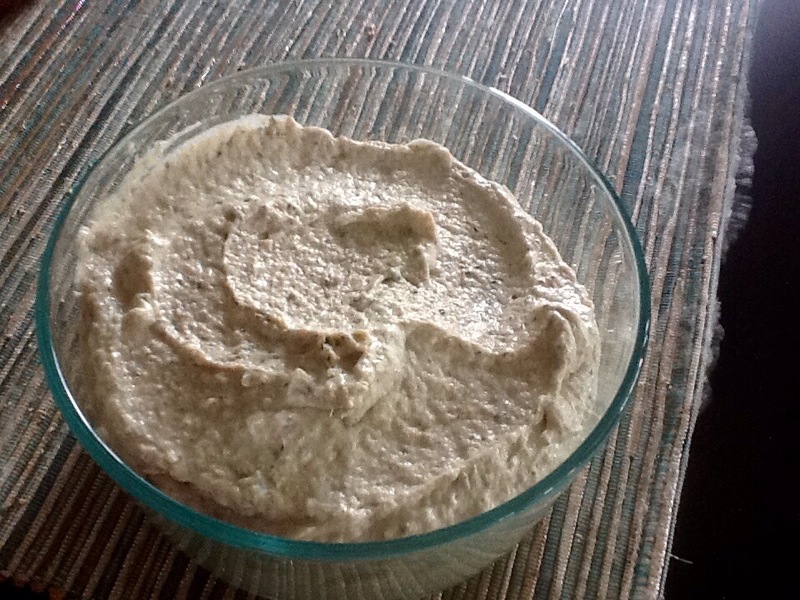 Add 1/4 nonfat plain Greek yoghurt and 1/4 cup mayonnaise. Add 1T dried parsley or dill. Pulse all ingredients together until smooth as desired. Add salt and pepper to taste. Serve with crackers or crusty bread. Great appetizer for the holidays or anytime!